An elegant top suitable for any occasion. This cute top is designed to be a looser fit, with the hemline sitting above the hips. 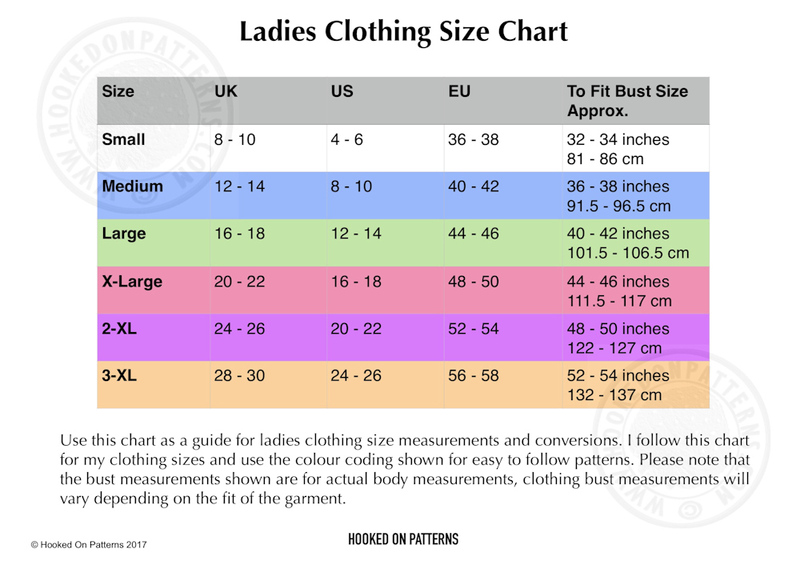 The top will measure approximately 2″ larger around the standard bust measurements. You will have the option of either an elasticated or drawstring hem to allow the hem to fold under and give a tucked effect. I recommend using a smooth yarn which will give a nice clear stitch definition for this project.